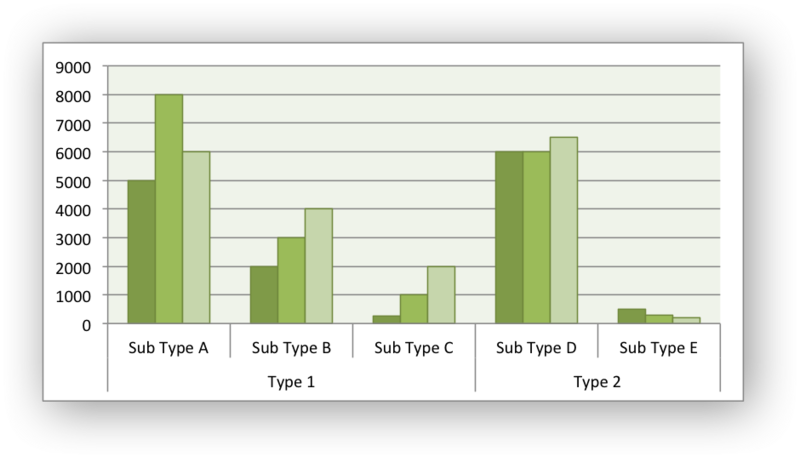 Example of creating a clustered Excel chart where there are two levels of category on the X axis. The categories in clustered charts are 2D ranges, instead of the more normal 1D ranges. The series are shown as formula strings for clarity but you can also use the a list syntax. # A demo of a clustered category chart in XlsxWriter. # strings for clarity but you can also use the list syntax. See the docs. # Set the Excel chart style. # Turn off the legend.